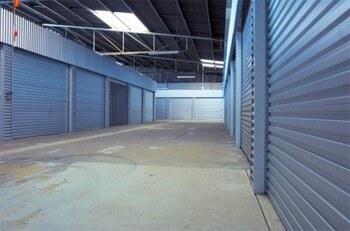 For affordable, modern and secure self storage units in Perth, you can’t go past Ezi Storage in Osborne Park. Our security never sleeps. When it comes to storing your valuables, you shouldn’t have to compromise security for affordability. With Ezi Storage units in Osborne Park, you don’t have to. We value our Perth customers, which is why we pride ourselves on our affordable self-storage options which all come with free insurance up to $5000* and an advanced security system, surveilling your property 24/7. We take our security very seriously, you can rest easy knowing your valuables are secure. Our storage facility has one of the largest ranges of self storage units available in Perth, with storage units as small as 2 x 1.5 meters- ideal for personal items and single item storage, to units as large as 10 x 5 meters- approximately the same size as a double garage. All our storage units are on ground floor, making them easily accessible and available for both short and long term use. If you are unsure of what storage unit is most suitable for you, view our storage table below or use our storage space calculator. If this is your first-time needing storage, we can take the stress out of it for you. We know how daunting moving house and your valuables can be. Our friendly staff are here to help you every step of the way, we’ll do whatever we can to make moving and storage easy and affordable for you. If you are a storage first- timer we have an abundance of storage tips available for you as well as our most commonly asked storage questions. Personal self-storage- When you rent one of our self storage units, it is yours. You have complete control and access over your belongings in the space. We offer moving supplies and boxes on site to house your possessions in and provide tips on how to maximize your space. 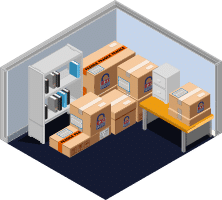 Business Storage- Operating and maintaining a clean business space is hard when everything piles up, it makes you feel stressed and unorganised. We understand this, and provide small business storage to help you maximise your internal office space. The storage can be used to manage stock, inventory counts, old furniture, desks- whatever you need, we have the storage solution for you. Vehicle Storage– Do you work FIFO? Or have a spare car sitting around that is not being used? Bring it to us! Our undercover warehouse offers vehicle storage, protecting you car from strangers, weather and outdoor conditions, whilst freeing up room in your garage. Furniture Storage- Have you purchased a new couch? Or is old furniture taking up room in your home? Bring it to us. We can help preserve your furniture and protect it from dust and weather fluctuations. Ezi Storage has a range of cheap packing boxes and moving materials able to be used by customers in their storage units and to assist with their household moves. All packing materials are able to be purchased from our Osborne Park storage facility or ordered online with a one-day turnaround. Our short-term storage solutions will enable you to store your furniture and boxes while you complete your move, we also offer a buy pack option on boxes once you are finished using them. To learn more about our packing boxes and moving solutions, click here. Gate, warehouse and unit security provides exceptional safekeeping. The effects of weather and most importantly dust are significantly reduced. The fluctuation of temperature and humidity is less dramatic. The reduction in the effect of dust and specifically humidity creates an ideal environment for document and furniture storage. 10x5 Double garage. Ideal business warehouse. Furniture from a 4 or 5 bedroom home, appliances, outdoor furniture. 6x3 Extra wide single garage. Business storage, furniture from a larger home and shed or a vehicle. 4x4 / 5x3 Furniture from a 3 to 4 bedroom home, small car or a trailer. 4x3 / 3.5x3 Small garage. Furniture from a 2 to 3 bedroom home. White goods, many boxes. 5x2 / 4x2.5 Small bedroom. Furniture from a 2 to 3 bedroom home. 3x3 / 4x2 Small bedroom. Furniture from a 2 to 3 bedroom home. 3x2.5 / 3x2 Furniture from a 1 bed apartment. 2.5x2 / 2x2 Half a bedroom. Small furniture, spare mattress, boxes, luggage, chest of drawers. 2x1.5 Bags, boxes, small personal and business items, suitcase.